Why Choose KM Construction Inc. for your local siding project? KM Construction Inc. and our team can help you update the exterior of your home or building with various siding options. KM Construction Inc. and our design team will bring your siding ideas to life. Call us for a free estimate and design consultation. Our installers have over 25 years of experience installing vinyl siding, aluminum soffit and fascia, and James Hardie siding. We can help you on your next siding replacement project. KM Construction Inc. is a local siding company and all of our work is guaranteed with a 10 year workmanship guarantee. KM Construction Inc. only installs high performance premium vinyl siding that is virtually maintenance free and cost effective. Vinyl siding can come in various different styles, colors, and sizes. Whether you are looking for classic horizontal lap siding, modern vertical siding, or even shake / shingle siding KM Construction Inc. has you covered. 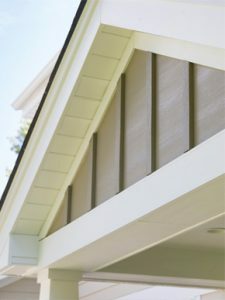 Variform siding comes with the strongest industry wind protection and transferable warranty. KM Construction Inc. specializes in the installation of high performing and beautifully designed James Hardie Siding. As a James Hardie preferred installer our crew has specialized training to ensure the proper installation of James Hardie siding. If you are looking for a virtually maintenance free premium siding James Hardie may be right for you. James Hardie siding is engineered for climates and is ready to take on the harshest midwest weather.